Kritters Thoughts: The third in a series where the books all take place in a great small town, but all center around different characters. This one focuses on Abby Rhodes who moved back for many reasons, one to help her grandmother who raised her with the small cafe and also to have a place to raise her young son and put her life back together. 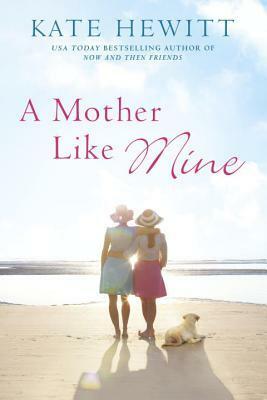 Her mother who has been estranged for many years returns with literal and figurative baggage and wants to reconnect and figure out who her own life. I love a good mother daughter drama and this one was so good. It wasn't easy and all sunshine and rainbows, there was heartache and difficulty and just the right amount of drama! The chapters bounce back and forth, so both ladies get an opportunity to tell their point of view and each get the chance to move the story forward. With this series you can start with this book or at the beginning, I started at the beginning and I liked it, but I wouldn't think you were missing out on anything if you started here. I like when series are like this and you can hop back into the small town, but you get to see the town through others eyes. I hope that there are more to come in this series, this is a fun small town to visit every summer! I'm so glad you loved this book! Thanks for being a part of the tour.